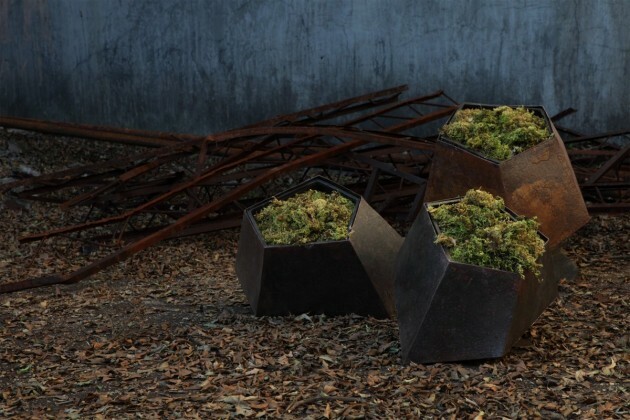 Filipino designer Jinggoy Buensuceso has created the Boulders collection of planters for HIVE. 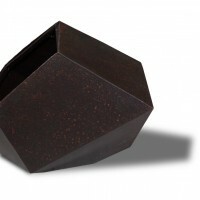 The Boulders Collection offers a juxtaposition of contemporary forms and antique detailing. 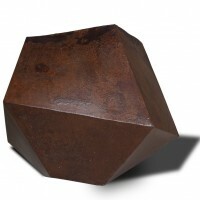 The polygonal shape is a simple conveyance of modern sculptures while the natural oxidation of metal provides the rustic feel. 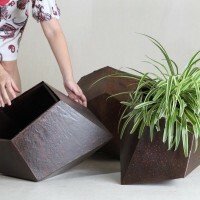 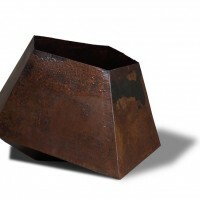 All planters are offered in neutral rusty shade while the bowls come in white, black and blue. 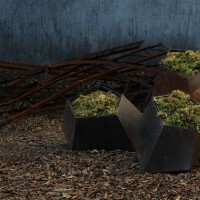 Visit the HIVE website – here.